Welcome! You’ve come to the right place! A Yogareal Beginners Yoga Course is the starting point for your practice at Yogareal. In each class you’ll get the opportunity to let go of your day in a simple, lighthearted and supported way. Whether you’re totally new to yoga or been doing it forever, you’ll establish a strong reference of what is and isn’t important in yoga. And more importantly you’ll learn how to work from those references. You’ll learn more in these 8 weeks than most teachers learn in the whole of their yoga teacher-training process – without a doubt! Over the period of eight weeks all main styles of yoga and categories of postures are incorporated. All of this will unfold in the context and understanding of the complete process of yoga. You’ll learn how to breathe a full yogic breath. With the support of props and innovative techniques the body will open, extend, align and become strong. Postures will continually be refined and taken to a deeper foundation point, allowing you to connect to your vital energy. From here, the art of meditation will evolve and you’ll learn to sit back and observe your mind. 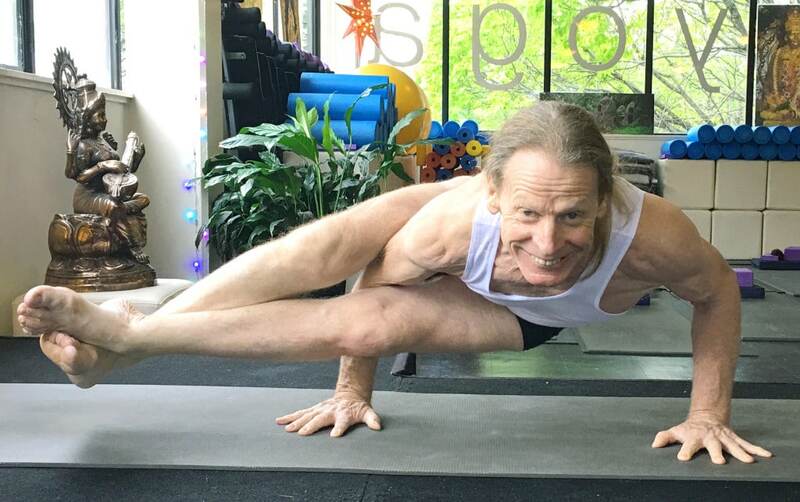 These classes will allow you to reclaim your body, unwrap approaches that are holding you back and with the support of long-term students and teachers, everyone will feel the expansive and uplifting benefits of yoga very quickly. Once you’ve undertaken an eight-week course all other aspects of yoga at our studio are available to you. A more challenging practice for experienced yoga students. Raja yoga means King or Royal Yoga – the culmination of your yoga process in yourself. In all ways this Course will be what you require for your Yoga practice to open out and expand for you. And as a person, this course will provide practical, experiential transformation to transport you to where you need to be and would like to be in yourself and your life. – or a lack of vitality to do what you want and need to do to get there. This Raja Yoga Course will provide you with everything you require to put the “icing on the cake” in your life or in this case the “crown on your head” in terms of where you sit and how you view life and your self. Yoga courses run one class a week for eight weeks.